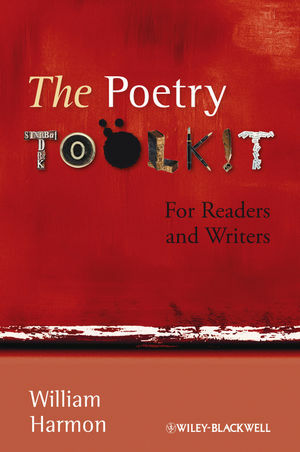 The Poetry Toolkit: For Readers and Writers provides students with the essential intellectual and practical tools necessary to read, understand, and write poetry. William Harmon is the James Gordon Hanes Professor Emeritus in the Humanities at the University of North Carolina, Chapel Hill, USA. Now retired, Harmon is the editor of A Handbook to Literature, now in its 12th edition, and has published five books of original poetry and received various awards, including the Robert B. Heilman Award given by The Sewanee Review for excellence in book reviewing.